Holiday babies are so special. There are so many things to celebrate this time of year, and the birth of a new baby just adds to the fun. 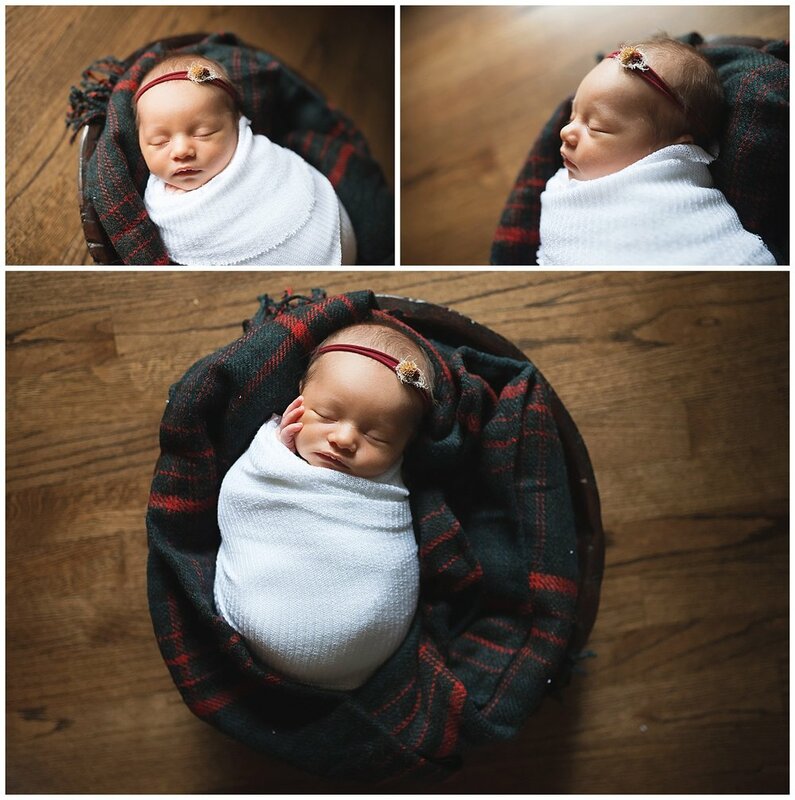 This family booked a newborn mini session and we added in some subtle holiday set ups. 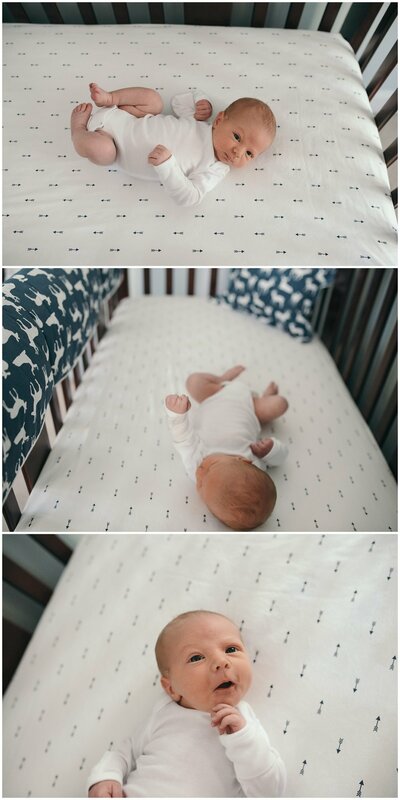 Typically these sessions include 2-3 different wrapped set ups and baby is snug as a bug in a rug. These sessions are perfect for families who want all the focus to be on baby. They are about an hour in length and can be fully customized to fit your family’s style. 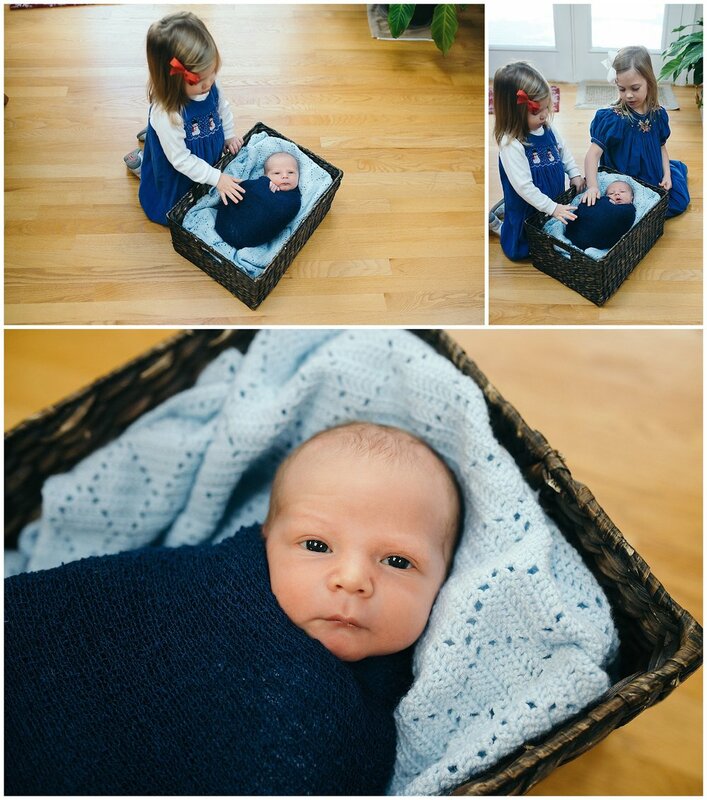 These simple in home sessions are also perfect for this time of year. With the cold and flu season upon us, you get to keep your baby in your home - safe and sound. Merry First Christmas, Avery! This was taken in a little sleigh her grandma gifted to their family - next to their Christmas tree. Y’all. If I had to describe 2018, it would be nothing short of amazing! I bought a house (ON MY OWN.. like a real adult.. that’s crazy lol). I got engaged and then married to my best friend. My kids are thriving in and outside of school. And, my business is growing and I could not be happier! Change is always scary, but you just have to have faith that it will work out the way it is suppose to. When I started my business, I primarily did posed, in-studio newborns because I had the space for it in my own house. Then, when my life changed, I had to re-think the type of work I wanted to do and became very selective about the types of sessions I would take on. 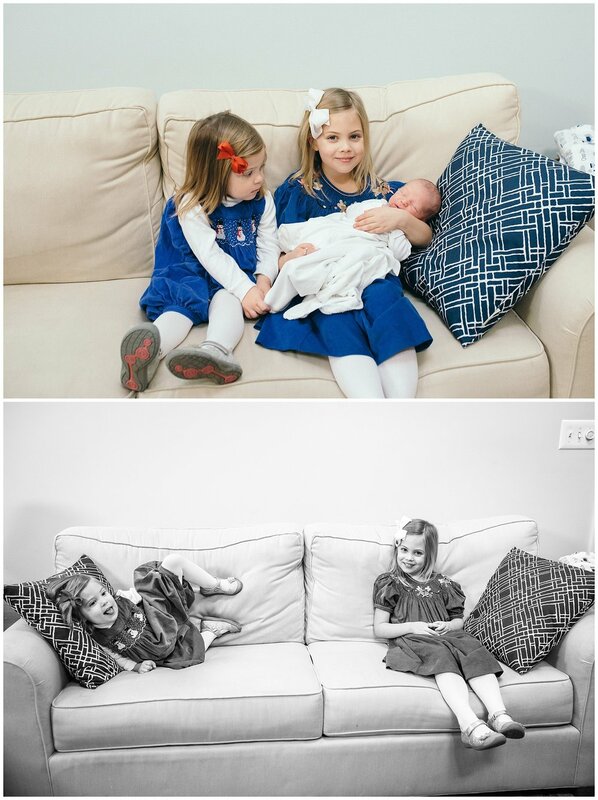 I decided to ditch the posed newborn style and embrace the family dynamic that is lifestyle. I can honestly say that I get choked up editing most newborn sessions because it is real life. I can feel the emotions of a new mom snuggling her baby. I can hear the toddler begging for attention because they are use to running the show. And I feel you dad. I feel you trying your best to support everyone in every way you know how. If I can give you anything during your lifestyle session, it is maybe an hour where you can just relax and let a pro handle things for a bit. I truly love coming into your home and experiencing the love with the chaos. So, here is to you, babies of 2018. Welcome to the world. Expecting in 2019? Let’s chat! 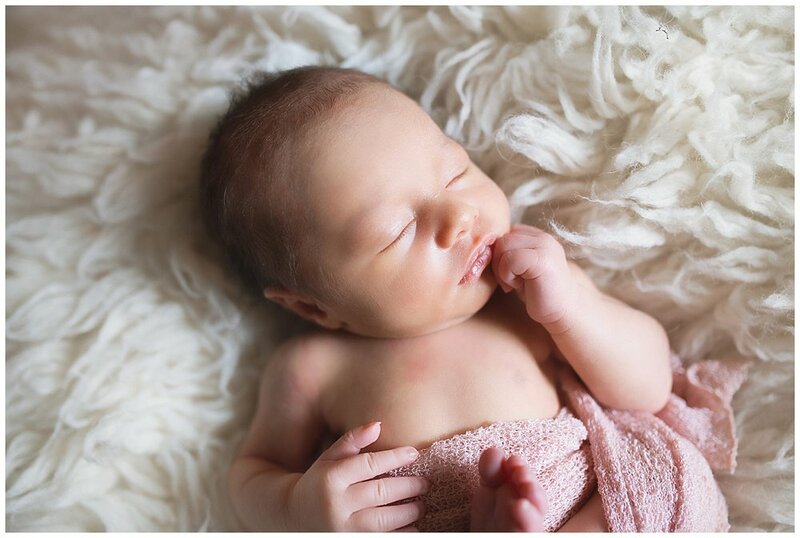 I only reserve a handful of slots for newborns each month to guarantee availability. 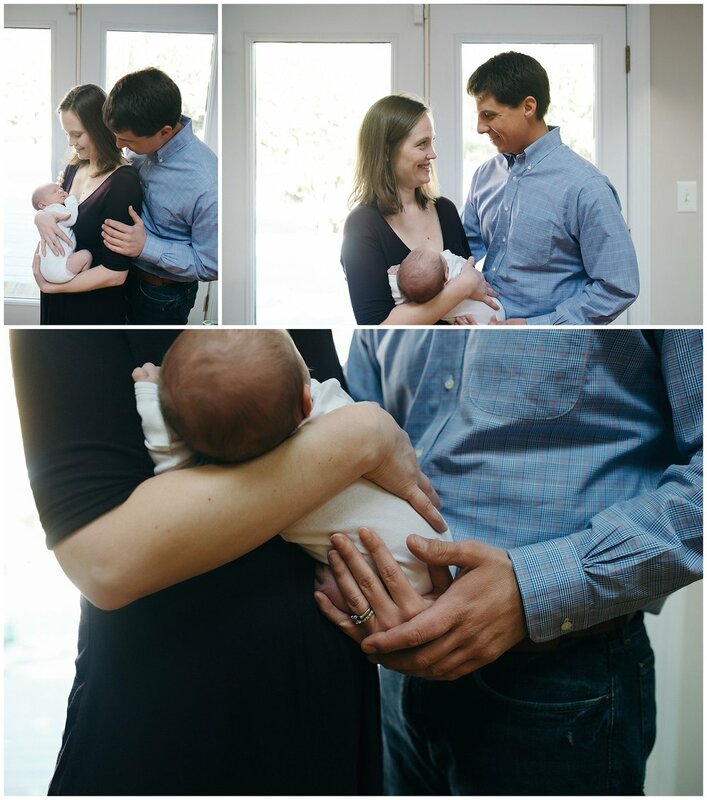 Most families book their newborn sessions prior to the third trimester. Contact me here!